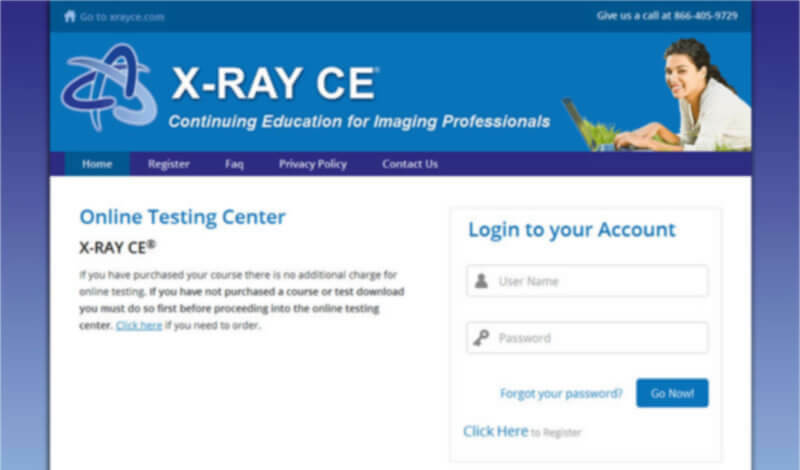 X-Ray CE is an online platform providing affordable continuing educational programs for Radiology professionals, since 2001. X-Ray CE had a testing platform, but it could not meet requirements precisely. They longed for an application that offers an end-to-end testing solution right from generating test in multiple formats for assessment to results and certification. With a large pool of courses offered, X-Ray CE sought ways to offer tests unique to the courses purchased by each learner. 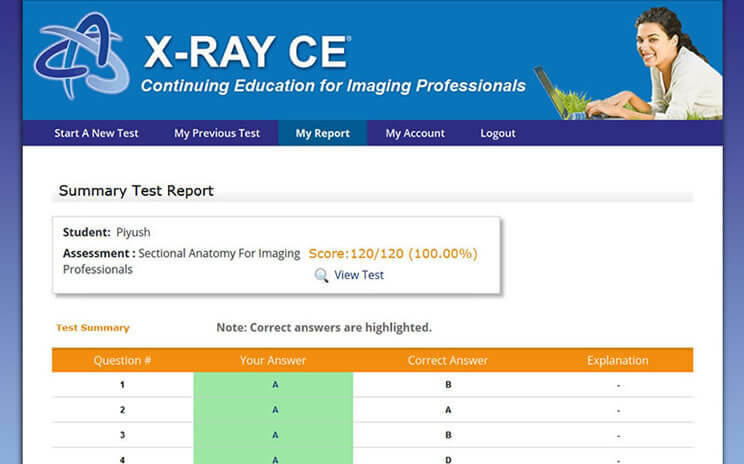 Examination Online worked closely with X-Ray CE to understand the needs and developed an assessment solution that showcases the potential of an online learning platform. Overcoming the limitations of existing platform, a scalable, responsive tool was delivered, comprising 132 tests and 3545 questions initially. Instant reports, certifications were plugged in to complete the assessment process. The solution counts on interactive, user friendly and intuitive approach to bring around a delightful user experience. The software distinctly generates unique id on each course purchased, followed by generation of appropriate tests from the large pool of backend options. The test takers can resume, retake tests and assess performance with detailed reports. Thus making the entire exercise effortless. The software delivered, generated an encouraging response from all users. 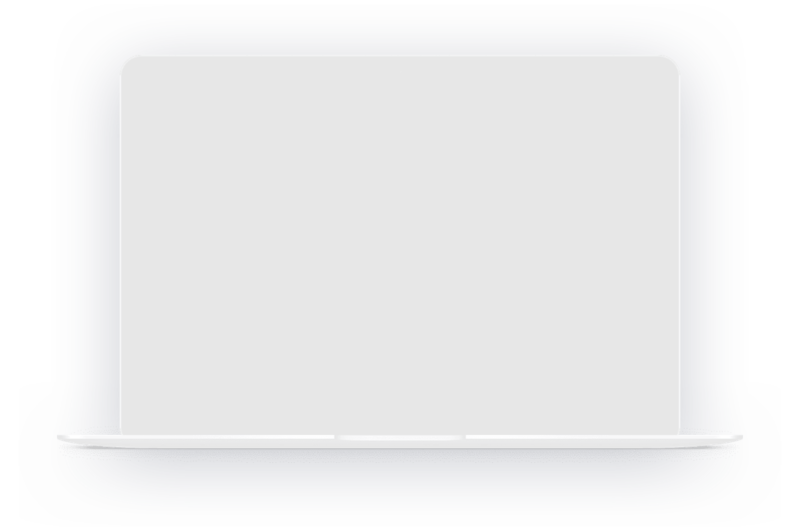 The test takers noted the interface to be apt through the process. Administrator too remarked the platform to be user friendly to upload questions in multiple formats and manage platform. The feedback from Representatives, Students, User Professors & Administrators were encouraging and noteworthy. The instructors remarked the platform was user-friendly and intuitive to make the entire assessment effortless, while students easily managed to take tests. WSJ was able to accomplish its business objective of reaching the younger audience and creating current affairs awareness.